Bill had been an issue of much concern in Nagaland and the rest of the Northeastern states with cross sections of society expressing widespread resentment against it. 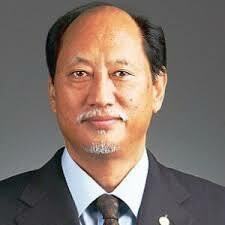 The cabinet held in the official residence of the chief minister, Neiphiu Rio, in Kohima discussed the Bill at length. It took into account the will and desire of all sections of the people of the state who expressed their opposition and resentment to the Bill in various forms in a democratic manner, cabinet secretary Temjen Toy said in a release on Monday evening. The cabinet clarified that the state government, which represents the will and desire of the people, remains opposed to the Citizenship (Amendment) Bill. Nahaland cabinet also assured that the People’s Democratic Alliance (PDA) government would leave no stone unturned to constantly protect the rights and privileges of the people and continue to undertake measures to further strengthen safeguards of the people. It noted that the Bill had been an issue of much concern in Nagaland and the rest of the Northeastern states with cross sections of society expressing widespread resentment against it. The release said the PDA government through the State Cabinet had always held that Nagaland was protected under Article 371 (A) of the Constitution and the ILP Regulations in that any person who acquires Indian citizenship through the Citizenship (Amendment) Bill, if passed in Parliament, will be ineligible for acquiring property or settling down in Nagaland. Nagaland cabinet said the state government has from the very beginning expressed its opposition to the Bill and also conveyed the same to the Centre. The State Cabinet in its meeting on January 7 took the decision to appeal to the Centre to review the Bill before its final passage in Parliament, the release said. At a meeting on January 18, the release said, the cabinet reaffirmed its stand that Nagaland was protected under Article 371 (A) and added the chief minister had written to the Union Home Minister Rajnath Singh informing the Centre of the decision. The meeting, acknowledging the genuine concern of all the Northeastern states, expressed solidarity with the neighbouring states. Accordingly, the state government had written to the Centre on January 18 appealing it to have wider consultations with all the Northeastern states to ensure that the rights of the indigenous people of the region was fully protected, the release said. It said the cabinet also decided in its meeting on January 7 to hold a consultative meeting of all sections including tribal hohos, NGOs, civil societies, political parties, prominent citizens and all stakeholders to form a consensus so that the stand and approach of the state government would reflect the will and desire of the people. In this connection, the state government had decided to appeal to all sections to positively participate in the consultations with views and suggestions in the greater interest of our people. The state cabinet further reiterated its January 18 decision to refer the matter to the Standing Committee of the Nagaland Legislative Assembly on Article 371(A) so that “we can undertake measures to further strengthen the rights and the interests of the people”. Also observing that the ongoing political negotiations between the government of India, the NSCN and the Naga National Political Groups are at a crucial stage, the state cabinet said appropriate measures were undertaken to ensure that the peace talks were not hampered in any manner. It also said any decision to impact the political scenario should be avoided at all costs.